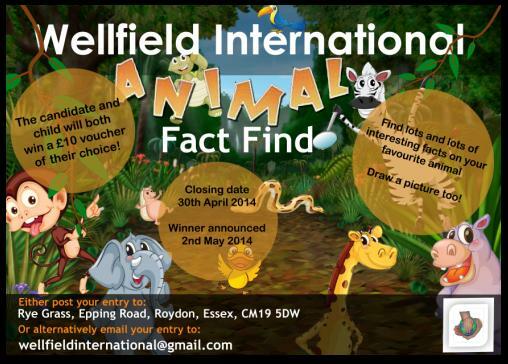 Wellfield International > Blog > General > April Competition!! This month’s competition encourages children to research using books and computers. Get your entries sent in to us by Wednesday 30th April. The winner will be announced on Friday 2nd May. The winning child and candidate will both receive a £10 gift card/voucher of their choice! We are looking forward to reading some interesting facts and learning about lots of different animals.